Scandinavian design entered the international scene in the 1940s and has been gaining in popularity ever since, particularly in the last decade. Top international auction houses hold sales dedicated solely to Nordic Design once or twice a year and achieve millions in sales. 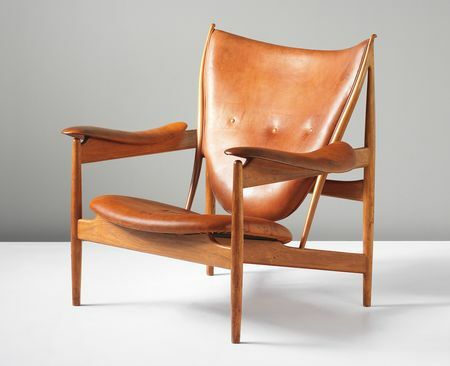 Modernity took a closer look at their recent figures and drew up a list of the five most expensive pieces of Scandinavian Design ever sold under hammer. The stunning “Spiral” Wall Light was designed by Danish light designer Poul Henningsen for the Scala cinema and concert hall inside the Århus Theater in Denmark. The work consists of two joined spirals made of aluminum, painted aluminum and brass. The work is a perfect example of no-glare light diffusion, which remained Henningsen’s obsession throughout his career. 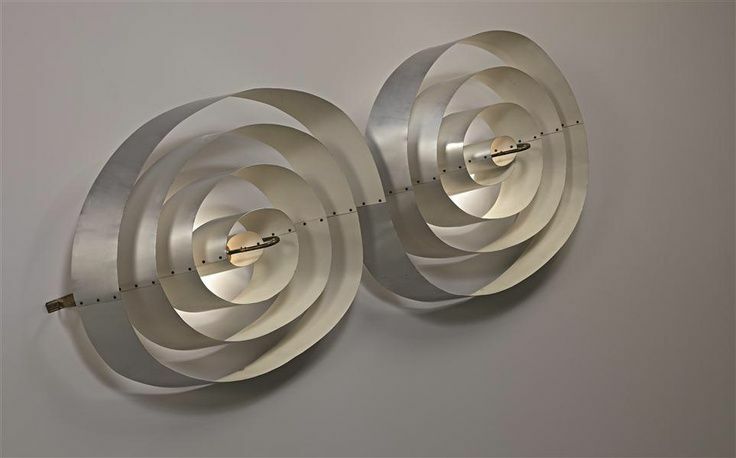 This example was one of 26 original double-spiral wall lights designed by Poul Henningsen in 1955 for the Scala cinema and concert hall, one of five performance spaces within the Århus Theatre. Scala went through an extensive renovation in 1981, which reduced its size, therefore twelve of these lights were put on the market. The other 14 remain in their original place. In other words, it is very rare to come across one of these masterpieces at an auction. In 2006, the same light, although somewhat smaller in width, sold for $69,600 in New York. Only five years later, in November 2011, another example was sold for £253,250. The heated bidding process for this example serves as confirmation of the steady rise in demand for Scandinavian Design in the last decade. The Chieftain Chair is one the most iconic pieces designed by Finn Juhl, with the help of master cabinet maker Niels Vodder. 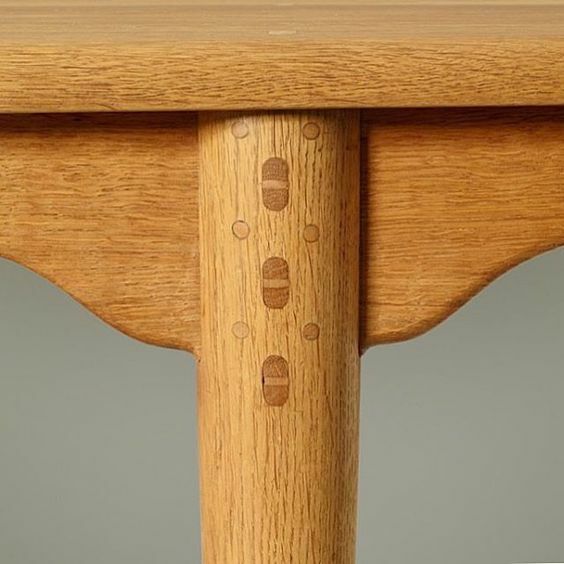 This design was exhibited at the Copenhagen Cabinetmakers’ Guild Exhibition in 1949, which tends to drive up auction prices. During the exhibition, King Frederick IX sat in the chair, causing a journalist to suggest calling it the “King’s Chair.” But Juhl didn’t like how pretentious that sounded and said, “You had better call it a chieftain’s chair,” which the journalist did. It was sold at auction for £290,500 in September 2014, above its estimate of £150,000 – 250,000, making it the fourth most expensive Scandinavian piece of Design. Danish ceramic artist Axel Salto produced expressive, sensual works inspired by nature. This 1944 stoneware vase in the budding style showcases the plantlike protrusions that mark Salto’s work, fired in the greenish-yellow solfatara glaze with which he has been most closely identified. When it brought in £373,250 at an auction in London in September 2012 - more than triple its £100,000 high estimate and 18 times its selling price 13 years earlier – it set a record for 20th-century ceramics, and ensured that anyone who was not already aware of Salto took notice. Although almost identical to number four, this example of the Chieftain Chair sold for £422,500 in 2013, breaking the world record for the most expensive Scandinavian Design item at that time. This feat was all the more astonishing given that the price estimate was only £50,000 – 75,000 and that the same chair, in natural leather color, had sold for $31,250 only three years earlier. It is possible that this example was considered more valuable than number four because of its earlier production year, or because its leather elements are in even better condition. Whatever the exact reasons, the outcome constituted deserved recognition for this extraordinary piece and its creator, as well as a big step forward for Danish - and more generally Scandinavian - design. The world record for Scandinavian Design was achieved just over a year ago. The one-off dining table, designed and produced by famous Danish designer and cabinetmaker Peder Moos, sold for £602,500, about four times its estimate, following ferocious bidding in the auction room. The table was made for the Villa Aubertin in Rosnæs, Denmark. Finn Juhl was the architect of the house and, although he designed all of the interior furnishing himself, he asked Peder Moos to make the dining table. Juhl’s and Moos’s friend, architect Arne Karlsen, once wrote: “Among his contemporaries, Finn Juhl felt a certain kinship only with Peder Moos, the joiner who made all his furniture himself and was consequently able to find precisely the pieces of wood that had such a dense and homogeneous fibre structure that he could permit himself to work with dimensions that were even more slender than any Finn Juhl dared dream of.”. Unpolished and pure, this modest design stands on two elegant legs, with joints with wooden dowels, creating a wholesome and warm look, typical of Danish Design. Danish design has become famous – and loved – for its combination of excellent design and craftsmanship. Peder Moos, both a genius designer and a master craftsman, is one of the finest exponents of this tradition. Add the uniqueness and artistic excellence of this table, and it is not surprising that it reigns over Scandinavian Design as the most expensive one ever sold at an auction.